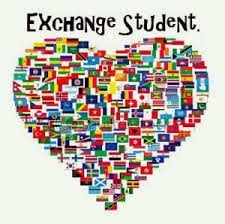 I have several exchange students looking for host homes for next year! Hosting a student is a great learning and cultural experience for your family, and a great compliment to homeschooling. My family has thoroughly enjoyed our hosting experiences. I am looking for families willing to host a student for 6 weeks, a semester, or the full academic year. Host homes need to be able to provide somewhere for the student to sleep (but they can share a room), a way to school (but they can ride the bus), and meals when you eat at home as a family. The student comes with their own spending money and health insurance. I would love to answer any questions you have or send you some profiles to look at if your family is willing to consider opening your home to a student next year. Also, we are now accepting applications for your student who are interested in studying abroad. We have a variety of programs from 4 weeks, 6 weeks, 3 months, a semester, or a full academic year. Your student can choose the country they would like to visit, and there are no language requirements before they travel. If you have a student aged 15-18 who might be interested, please contact me. Our son is currently in France on a 3 month exchange and having a great experience. I am happy to talk to you more about the process.